What a difference just a few months can make! When asked how he spent his offseason, Derrick Pouliot made it well known that he only spent a week at home (in Saskatchewan) before heading to Toronto to work with Gary Roberts. Gary Roberts, a former Penguin, has his own training center devoted to strength, skill building, and teaching proper nutrition to be at your best competitive level. When training camp opened last Friday, the transformation was all many people on social media could talk about. Derrick Pouliot has me convinced that I need to train with Gary Roberts next summer. Damn. It was obvious that Pouliot has dropped a significant amount of weight. He had better color in his skin, a thinner face (he had been known for having chipmunk cheeks) and more jump in his step as he skated out onto the ice. In front of new eyes, Derrick Pouliot has to have the camp of his (short) career if he is to hold onto any hope of staying with the team. After an abysmal start to the 2015-2016 training camp and an inconsistent season, Pouliot seems to now understand that his future lies only in his hands. "I'm just trying to be a better professional..."
he told Michelle Crechiolo of Pens Inside Scoop. 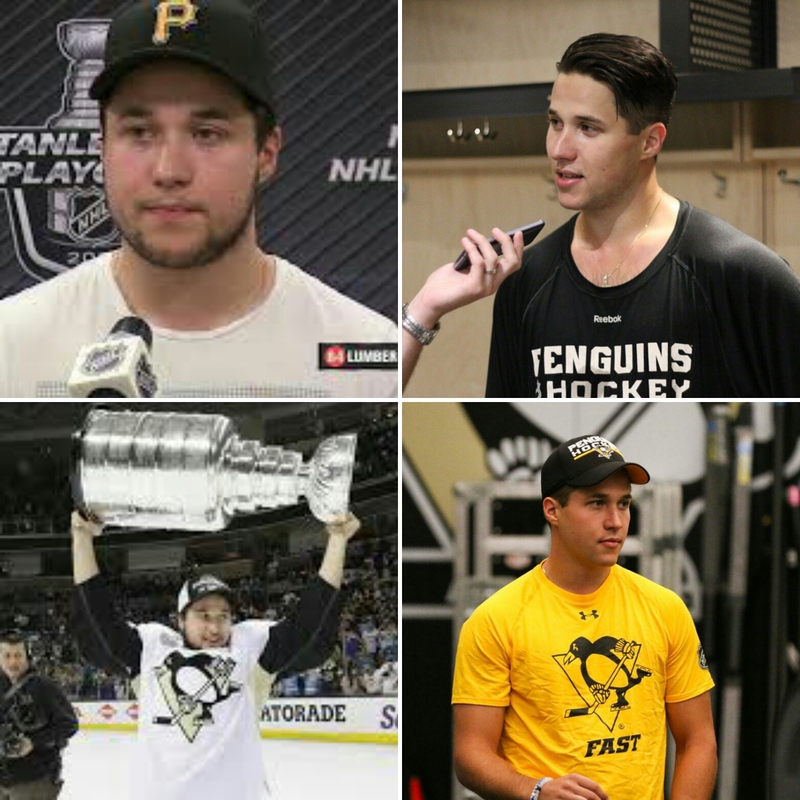 This transformation not only shows Pouliot's determination but an initiative to better his physical play and overall performance in order to challenge for a roster spot. He has come into this year's camp with a new confidence and more energy from experiencing the thrill of a Stanley Cup run first hand. Maybe it's the realization that one wrong move could see him packing his bags for Vegas...or Winnipeg? (the Jet's are said to be shopping for a young defenseman as part of a package deal for Jacob Trouba). When asked where he would like to improve, Pouliot said that he would like to be good/better in his own zone and play an all around consistent game. He would also like to create offense and contribute offensively more as well, something he was unable to do when called upon twice in the post season. One area that has improved was his skating. Pouliot was always known for his speed but he now seems more agile and fluid on the ice. And yes, he even seems faster, something that will work to his advantage when trying to work back into the Penguins new "speedy" system. When Head Coach Mike Sullivan got back to Pittsburgh from his (short) stint as the assistant coach on team USA in the World Cup of Hockey, he was asked what he thought of Pouliot;s new physique. "He looks terrific. He is a determined guy and that's great for us. We have high expectations for Derrick"
And what are those expectations? "Our expectation is Derrick steps up and brings his game to another level because we know he is going to help us win this year". Heavy words from a no-nonsense coach. How much confidence does the head coach have this 22 year old defensemen with a new mind set? Could he really challenge veteran Ian Cole or even Justin Schultz for a roster spot come regular season? Writers, analysts, commentators, and twitter warriors have all made reference to how much potential Derrick Pouliot has but has yet to really show it. Will he "show out" with the first preseason game just a day away? All these questions and more will soon be answered as the days draw closer to the regular season and the final list of NHL roster players is announced.